Doctor Who dedicated the season premier episode to Elisabeth Sladen with the message at the end “In loving memory of Elisabeth Sladen” The BBC also ran a 12 minute tribute to the women of Doctor Who. 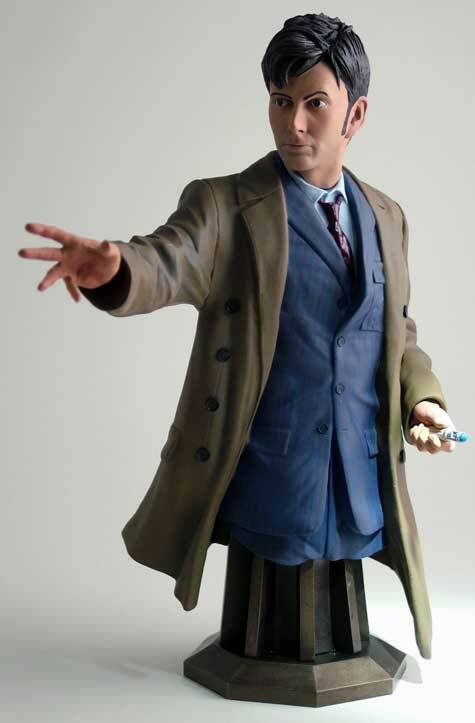 After tremendous demand, Titan Merchandise are proud to announce the next item in our groundbreaking, limited-edition Doctor Who Masterpiece Collection: David Tennant’s Tenth Doctor! This is an exquisitely-sculpted, intricately-detailed maxi-bust standing 9” tall, 4” wide across the body (7” from outstretched right hand to left shoulder) and 3” deep.